It is customary to honor the memory of loved ones with a permanent yahrzeit plaque in our sanctuary. The cost of the plaque is $360. For more information and/or to order, contact the office at office@bshalom.net. 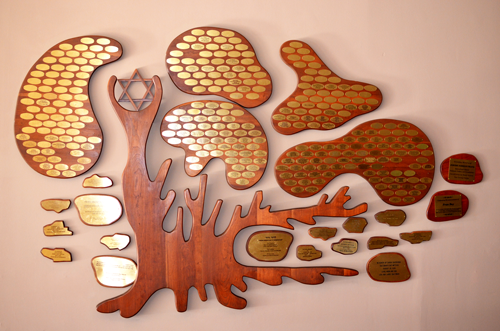 Celebrate life-cycle events / simchas (Birthday, Anniversary, Bar or Bat Mitzvah, New Baby etc) by buying leaves and stones on our beautiful Tree of Life in the Social Hall. We are very proud of our Tree of Life as its inception and design was borne through the creation of one of our own members. Cost for each leaf is $180. Cost for stones start at $540. 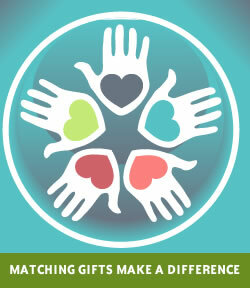 Do you work for a company that participates in a “Matching” Gift Program? Employee matching gift programs are corporate giving programs in which the company matches donations made by employees to eligible non-profit organizations. It’s an easy way to double your contribution to us! As an example scenario, an employee of a bank which matches gifts decides to make a gift to his or her charity of choice. Since this bank is a matching gift corporation, it will match the donor’s $100 gift to the charity at a 1:1 ratio, for a total of $200. We currently have several congregants whose companies are matching their gifts to Beth Shalom. Requesting a matching gift is normally a five minute process which must be initiated by you to see if your company participates. For more information contact Loli Gross, Executive Director at 770-399-5300. Wondering what to do with your used car or truck? Donating your old vehicle to Beth Shalom is convenient, easy, and may qualify you for a tax deduction. And best of all, your donation of a used car or truck will make a big difference in supporting our synagogue. Why not donate your vehicle today? All you need to do is to complete our simple online donation form or call 1-866-628-2277 and we’ll take care of the rest. We will pick up your vehicle, arrange to have your donation towed, and provide you with a tax-deductible receipt, all at no charge to you. We collect information from you when you fill out our on line forms. Credit card and/or banking information is not maintained in our records unless authorized to do so. We use this information to provide you with a tax donation statement at the end of the year. We have security measures in place to maintain the safety of your personal information. We do not transfer any information to outside parties.